Coenzyme Q10 supplements are filled with powerful antioxidants that can help to boost your immune system. And colloidal silver is regarded for its support the natural defense system of the body by attacking and killing more than 500 microbial. St. John’s Wort: It’s known to fight against depression, influenza and HIV. Licorice: Licorice root has powerful anti-inflammatory properties and is known to fight against chronic fatigue, depression, cold, flues, coughs, viral infections, fungal infections and liver problems. Garlic: Garlic is known for its anti-viral, anti-fungal, and antibacterial properties. Click here to find out how to unlock the benefits of garlic. Ginger: Ginger has strong anti-bacteria and anti-viral properties and can fight common cold and flu. 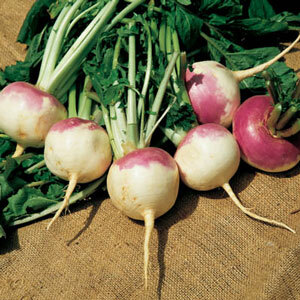 I personally try to add turnip to my diet, especially during cold and flu season. This vegetable is a very powerful source of flavonoids, antioxidants and vitamin C that can effectively fight against ear infections, sore throat and cold. The beta carotene in turnip is converted to vitamin A by the body and the potent antioxidants help to neutralize thousands of free radicals that attack our living cells on a daily basis. You can add turnip on its raw form to your daily green juices however I believe turnips are much more effective to fight colds and flu when they are cooked (not overly cooked/heated). In fact, heat most of the times destroys the valuable nutrients; however slight heat can release some of the hidden nutrients in vegetables like broccoli and tomato. Have a great day flu free.